"Amora August Vintage OEC - The Super Ideal OEC (Old European Cut)"
Amora Gem in a stunning, super-ideal antique style Old European cut (OEC). 5/24/17: We are pleased to announce the first 1ct AVR's are in stock and available - one month ahead of schedule! We will have more videos and photos once the 8.5mm are ready (first week in June). AVR stands for August Vintage Round, and we are licensing the Super Ideal OEC cut that is the AVR and designed by Jonathan at AugustVintage.com and producing it with our TIGER robots in the Amora Gem. The Amora gem is "The Ultimate Gem", and is the first lab gem to surpass diamond by nearly every measure. Amora gem is a naturally occurring crystal around very large stars, where it occurs as stardust (See Astronomy & Astrophysics journal, April 1988). 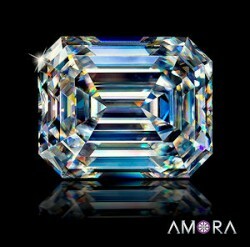 The Amora gem crystal only grows in extremely high temperatures that would quickly vaporize diamond. Due to the incredibly high temperatures it requires for growth, it is only present on Earth near the Earth's heated core, and it's lack of availability is perhaps one reason that diamond became the most prized gem on Earth. However, on 11/11/11 the Amora gem debuted alongside the oldest crystals on our planet (Jack Hills Zircon, 4.4 Billion years old) at the Hungarian Natural History Museum in a display entitled "The Oldest and The Newest", and the patent-pending Amora gem will be available to consumers in select countries for the first time in limited quantities in 2013. 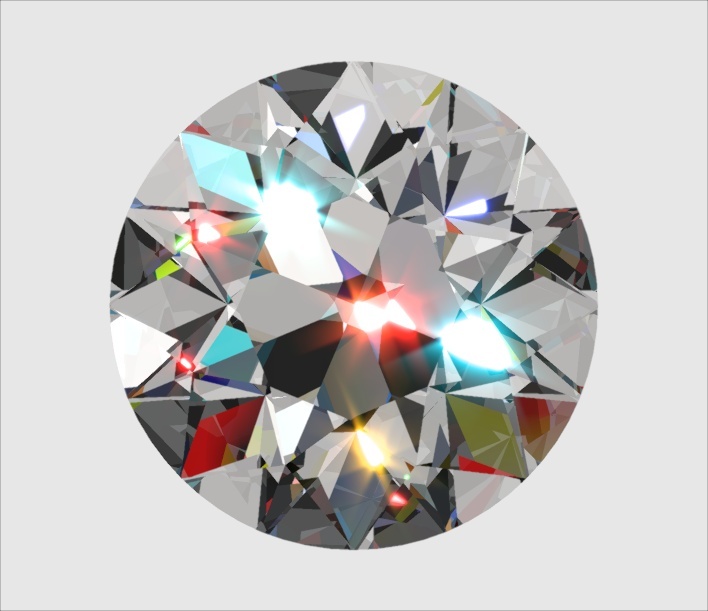 Scores significantly better in the 5th C - Cost, oftentimes 40:1 better pricing for comparable color, carat weight and clarity. Amora Gem is The Ultimate Gem. 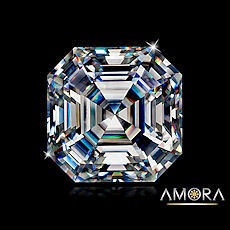 In short, Amora gem is truly the ultimate gem, eclipsing diamond in every measure of optical beauty. Within a given crystal type, cutting controls 98% of the brilliance. 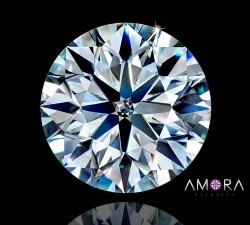 Thus, we have devoted significant resources to modeling, cutting, designing and testing the Amora Gem cuts in order to achieve an optimal and maximal balance between the two competing goals of maximum fire and maximum brilliance for Amora gems unique optical properties. 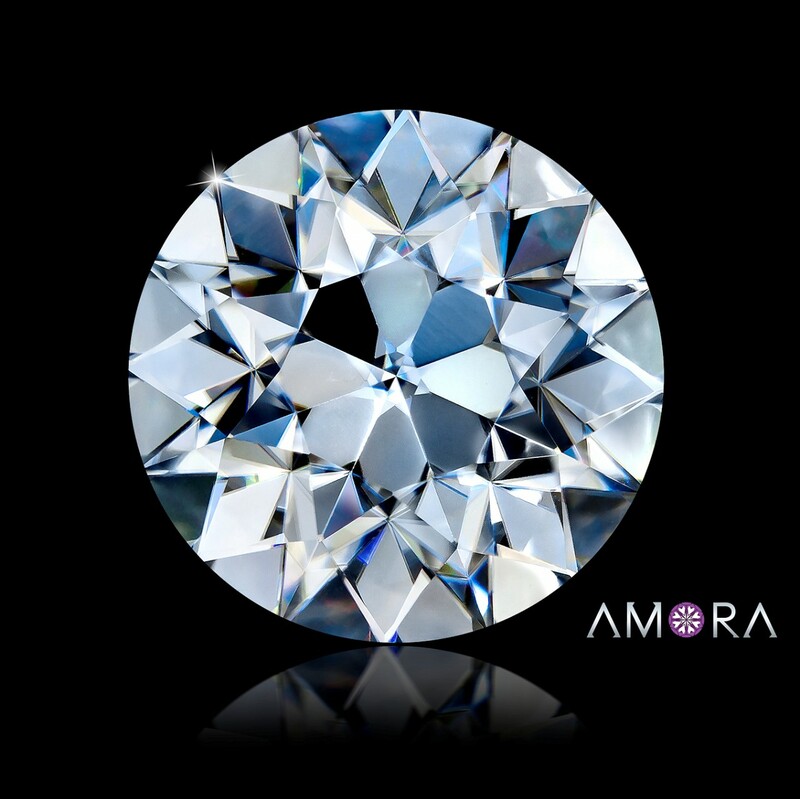 The Amora Asscher design is the final winner of a number of evaluated parameters and proportions and strikes the ultimate balance for both fire and brilliance. 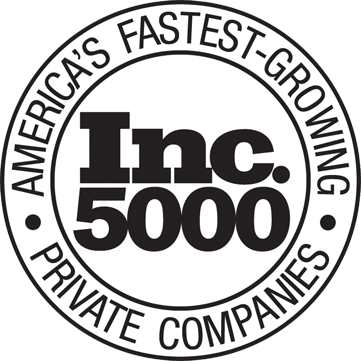 Amora Gem OEC is now Patent Pending in the US, and we have multiple foreign patents in progress. Additionally, all Amora Gems will be cut *exclusively* by robot, an industry first. Robotic cutting enables super-human precision and incredible craftsmanship compared to hand cutting, as the robot only cuts to optimal proportions and exacting symmetry. This ensures that *every* Amora has unparalleled beauty. What are the dimensions of the Amora Gem OEC? My AVR just arrived yesterday afternoon and I am beyond delighted with it. The sparkle is chunky and bright and the faceting is crisp. I love my amora OEC. 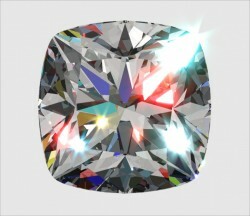 It is above and beyond the previous simulant I had in my ring to where I do not even want a diamond! This gem is truly a gem to behold. I love looking at it in my setting. This stone is just fabulous and the photos just do not do it justice! Thank you betterthandiamond for creating something that is just that- better than diamond!